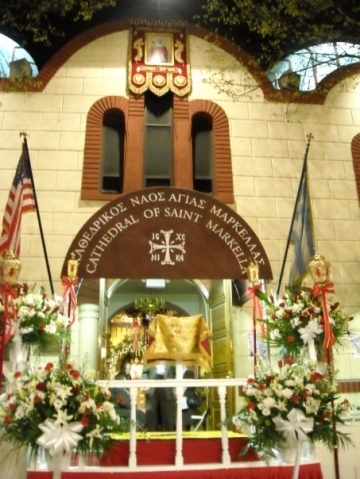 The Cathedral of St. Markella was established by the ever-memorable Metropolitan Petros of Astoria in 1954, to serve the pious Orthodox Christians in the area who remained loyal to the Patristic "Old" Calendar. Since that time, it has become the Cathedral parish of the Holy Metropolis of the G.O.C. of America, whose current bishop is His Eminence, Metropolitan Demetrius.